Tear You Apart, the second book in the Beau Rivage series, is an edgy, modern fairytale retelling that follows along the Snow White curse. I read the first book in the series, Kill Me Softly, when it first came out, and I really enjoyed the story. I was really glad to see series continue on and I was also excited to see where the author would go next with this storyline. The main character in the story is Vivian who has the Snow White curse. Since she knows every detail on how the curse plays out, she has major trust issues, especially with her step-mom and the Huntsman. And who can blame her, honestly? Viv’s step-mom, Regina, is young, hot, and pretty much the definition of evil, and doesn’t mind letting Viv know exactly how she feels about her. She will do anything she has to do to get Viv out of the picture, including turning Viv’s best friend, Hensley, against her. Viv has two love interests in the story; one being with the Hensley, the Huntsman, who she has known and loved pretty much her whole life, and also with the ‘prince’ from her storyline, Jasper, who lives in the underworld. While she loves Hensley, she doesn’t know if she can trust him not to kill her when the time comes. And even though Jasper claims that he can protect her as long as she stays in the underworld, she has to wonder if she can trust him as well. What’s a girl to do?? I have to say that I absolutely love the fairytale storyline for these books. I am a pretty big fan of retellings, and I love that this book pretty much has them all in one. And sometimes it’s not the ‘Disney’ version of the retellings that the story follows, but the horrible ones that were made long, long ago. Also, the world-building for the book was totally engrossing, not just the fairytale town in which they live, but also the underworld as well. This, along with the characters, will have you completely hooked as you turn the pages. 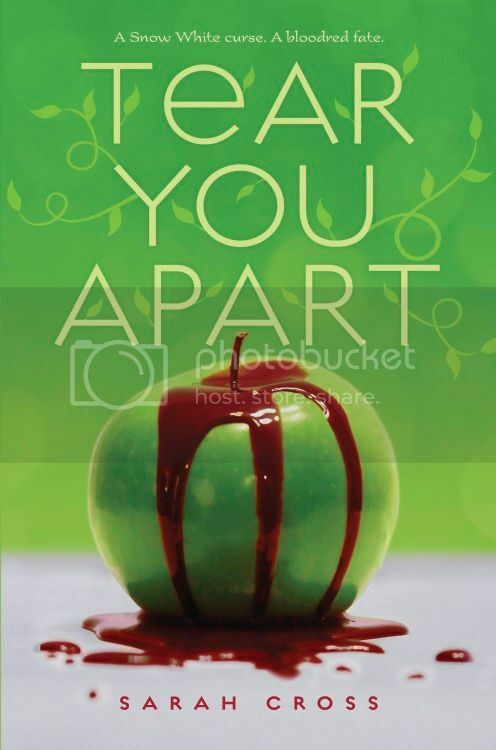 Overall; If you’re a fan of fairytale retellings, you’re definitely going to want to check out Tear You Apart, and Kill Me Softly! These books will take you on an adventure that you won’t soon forget. I love fairytale retellings, so I'll have to check this one out! I've been seeing it around, and it's good to know that you recommend it. Thanks for a great review! I am someone who has a soft spot for retellings and basically love them all. I really need to try this series because I have heard great things about it all the time. And it constantly has my interest. I like the idea of it not always following the typical Disney side of things as well. Happy 4th Blogoversary, TheReaderBee! Giveaway! 12 Most Anticipated Books for 2015! !